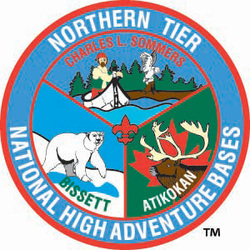 The Northern Tier High Adventure Base offers Scouts and Ventures the world’s best wilderness canoeing. Beginning in December, you may participate in the challenging cold-weather camping program called Okpik (OOk’ pick). The Northern Tier offers adventures, each geared to the goals and desires of your group. Come to the Northern Tier for an unforgettable journey through the heart and soul of Canoe Country.